I'm going to be that girl: how is it already Friday? Seriously, wasn't I just leaving for Mississippi last week? How did a week go by so quickly? 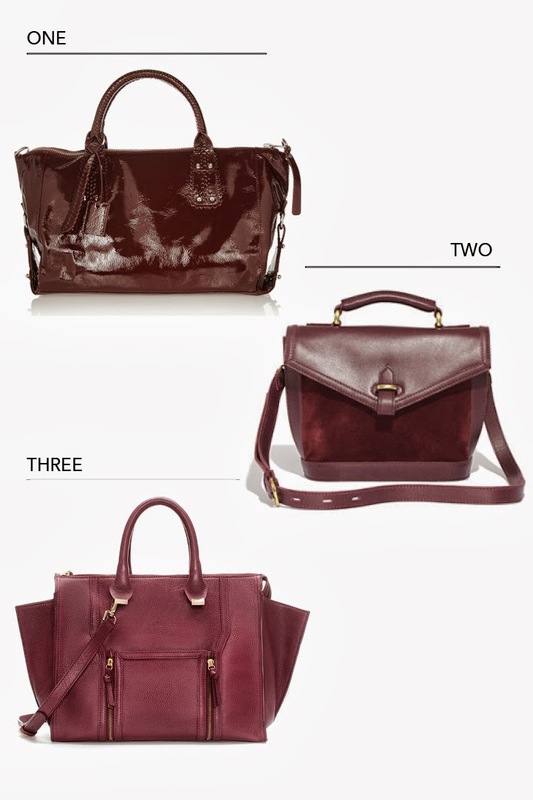 Anyway, how about we talk about beautiful burgundy handbags. Living further north has me craving a richer colored wardrobe, but my fair skin does not take kindly to deep hues. So, the best option for me is adding in fall inspired accessories like handbags and shoes. I'm especially loving this bag by Zara. With a lower price point, this bag makes my fall desires a possibility. I would pair mine with black skinny jeans, booties, and an oversized knit. How would you style your burgundy bag?